QDRY provides 113 degrees F temperature for effective earpiece drying while maintaining a safe charging temperature of 84 degrees F (recommended charging temperature for silver-zinc is below 86 degrees F). 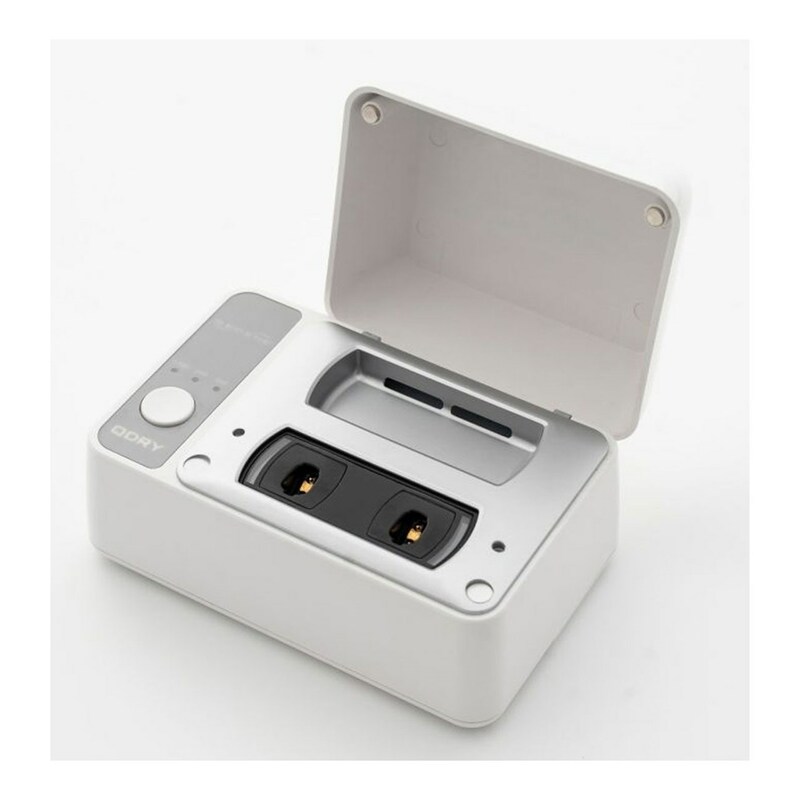 --Compatible with ZPOWER hearing aid chargers (charger not included). 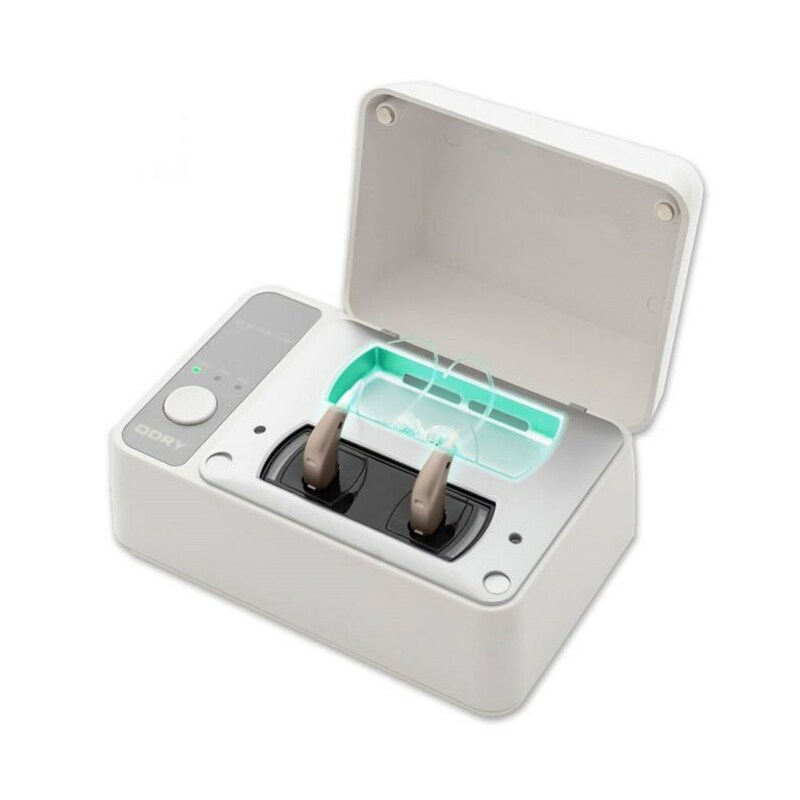 --QDRY's exclusive Dual Temperature Zones allows you to effectively and safely dry the earpiece of your hearing aid at 113 degrees F (45 degrees C) while maintaining lower safe temperature of 84 degrees F (29 degrees C) at the charger. To maintain optimal battery life, the maximum recommended charging temperature of Silver-Zinc battery is 30 degrees C.
--3 modes are available to cover a wide range of drying needs (Turbo 30 min., 2hr, 4hr). --Turbo mode provides heating temperature as high as 118 degrees F (48 degrees C) combined with UV-C light for the first 8 minutes for fast drying and disinfection followed by controlled temperature ranging from 114 degrees F - 108 degrees F (46 degrees C - 42 degrees C) and modulated air to purge any moisture from the hearing aid. --The 2hr and 4hr mode provides similar performance at slightly lower temperature averaging 110 degrees F (43 degrees C) for extended period of time for more humid environments. --The charger operates independently and will continue charging when the drying cycle stops. You can easily check the charger status without interrupting the drying cycle by opening the cover. Please note that UV-C light will temporarily auto shut-off when cover is open. --QDRY completely houses the charger including the cable. The charger cable fits in a compartment and plugs in at the bottom of the unit providing an elegant solution for drying and charging simulteanously.